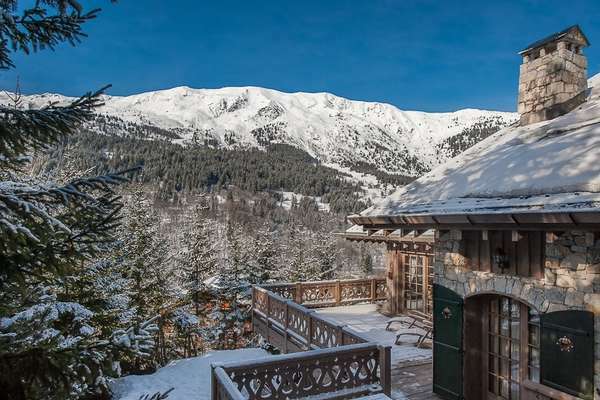 Méribel Station is the heart of after-ski activities, thanks to its many shops, bars, restaurants, and especially the Olympic ice rink (which hosted the ice hockey events at the Olympic Games in 1992), swimming pool (open all year) and bowling. 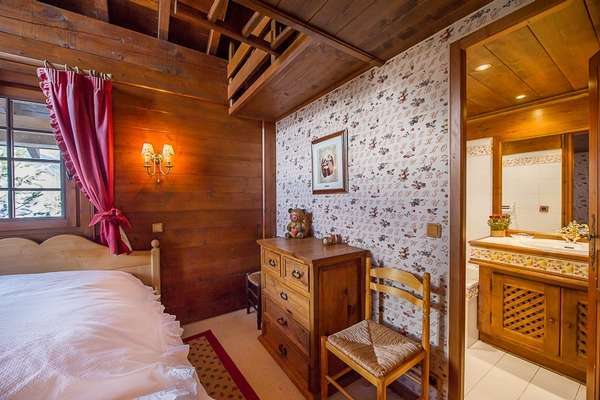 Méribel Station is also characterized by its truly mountain architecture, making it a true Savoyard village. 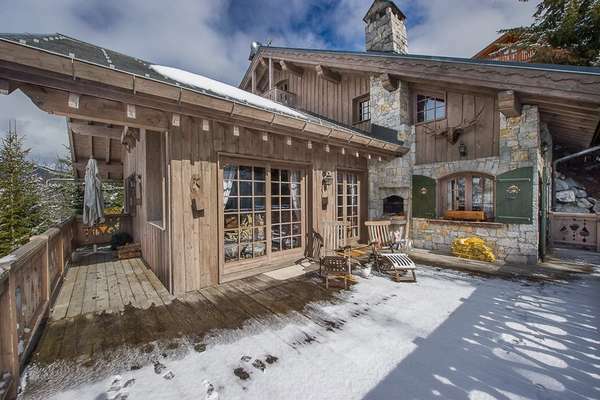 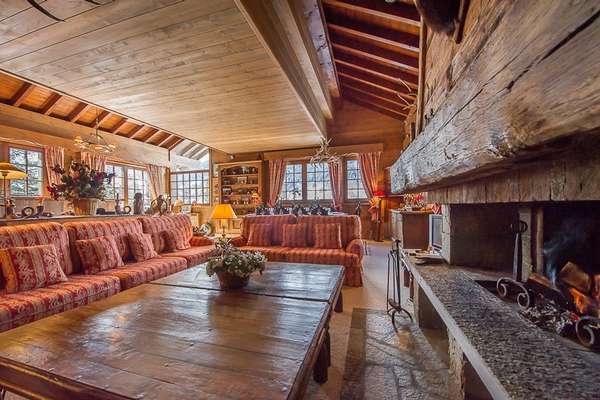 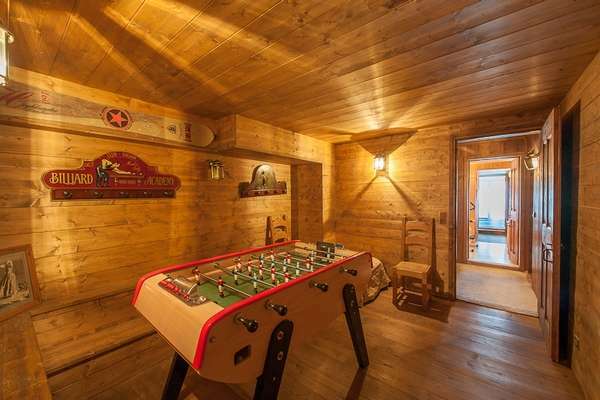 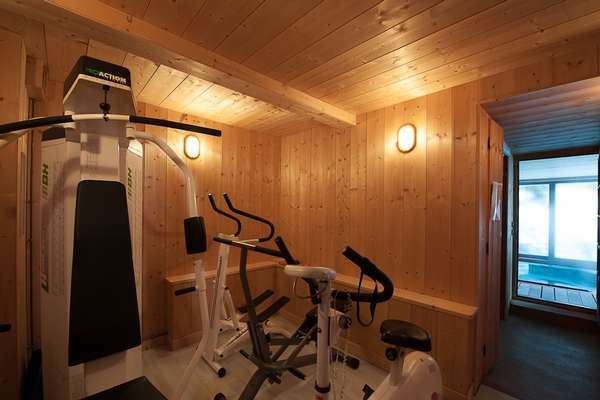 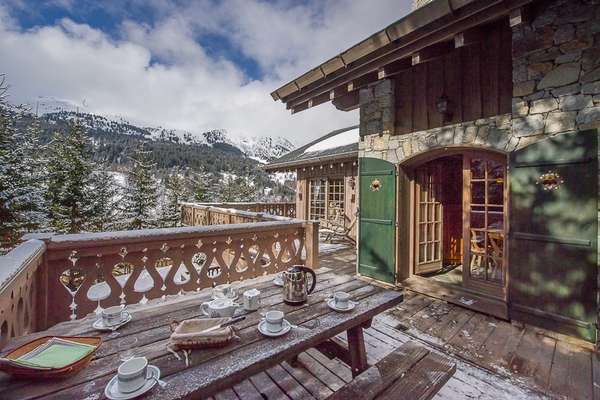 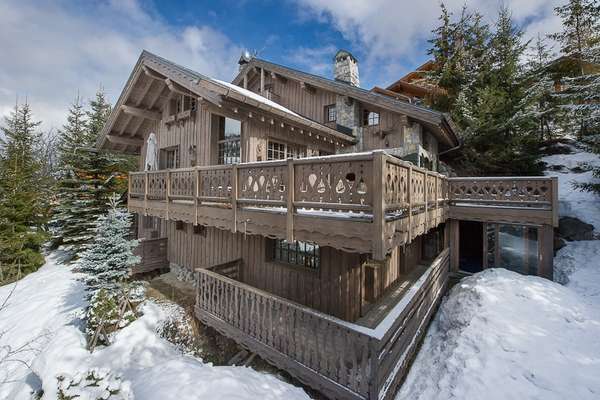 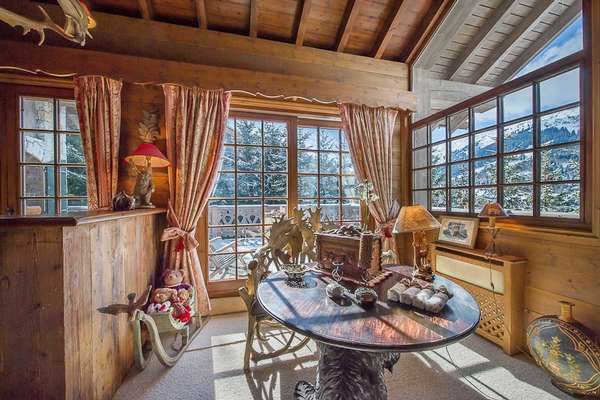 The “Colorado” chalet is spread over 3 floors with all the necessary comfort. 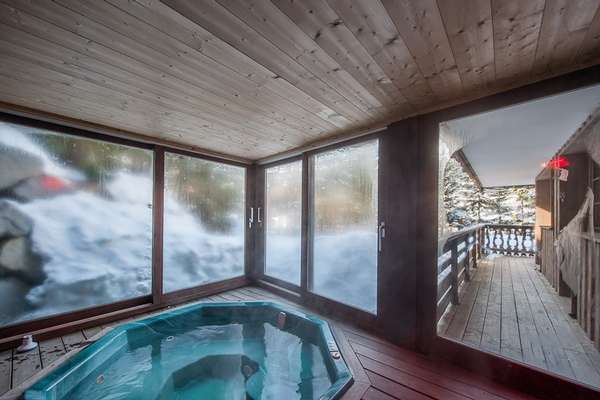 With great relaxation areas, around the fire or on the balcony, it will delight the whole family. 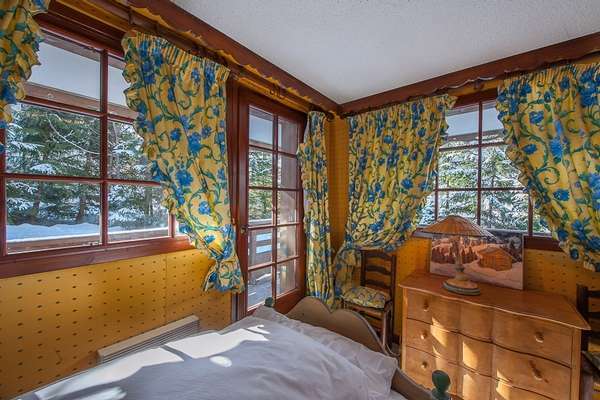 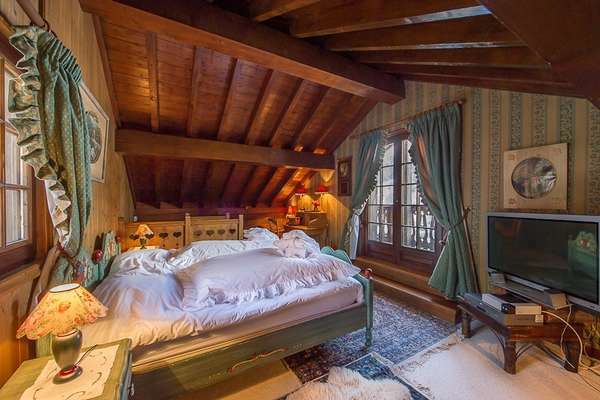 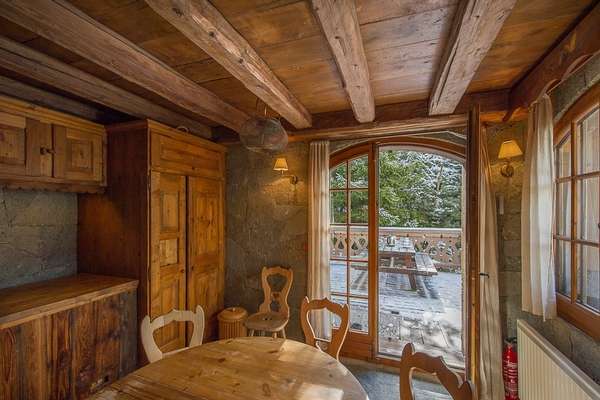 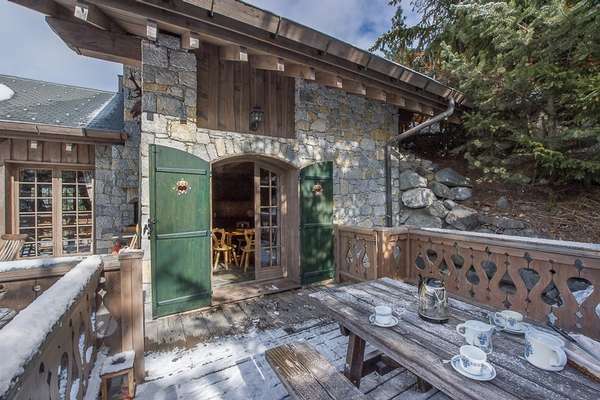 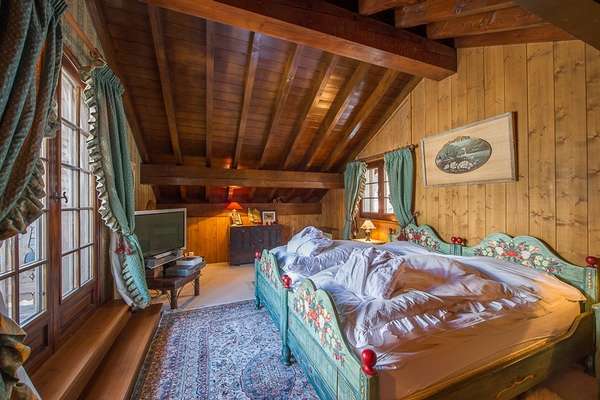 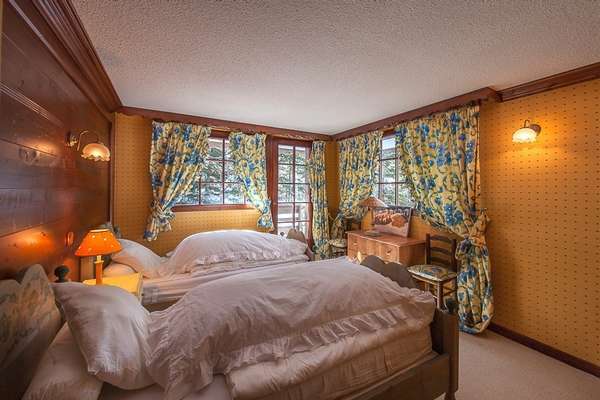 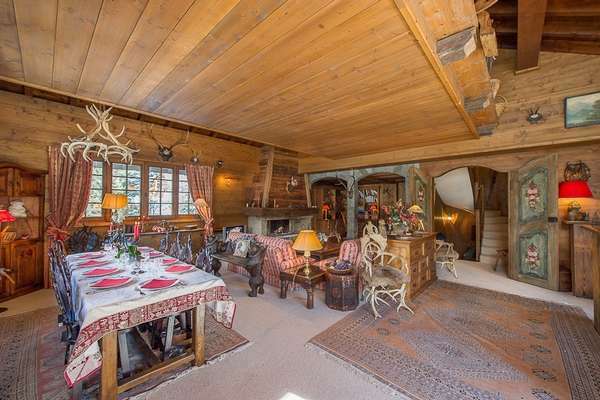 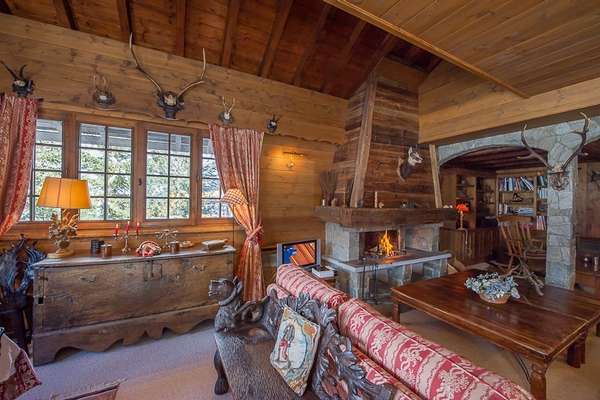 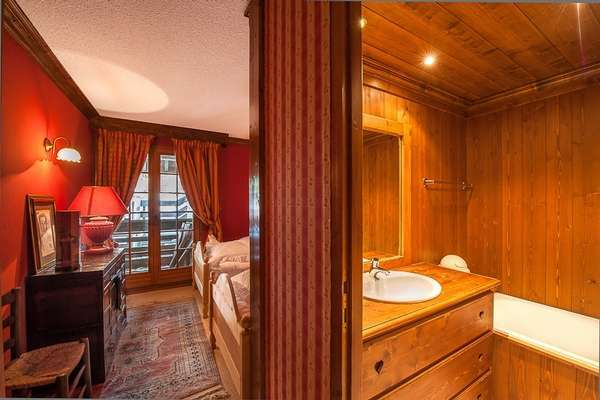 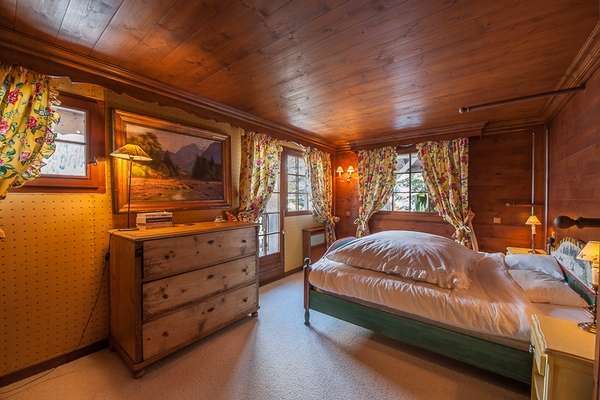 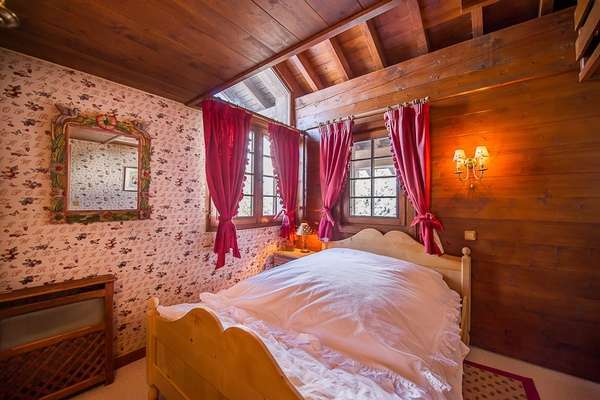 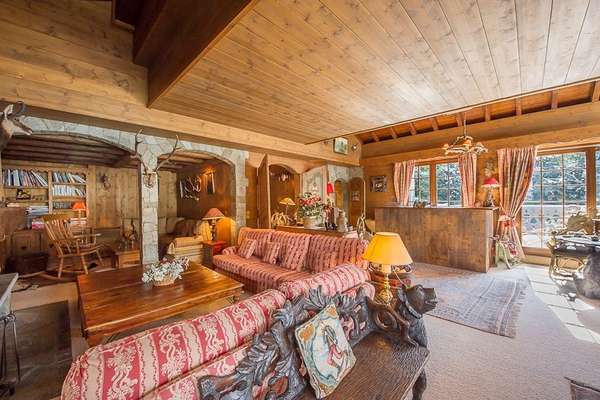 It is decorated in traditional Savoyard style with colorfoul drapes and local embroidery. 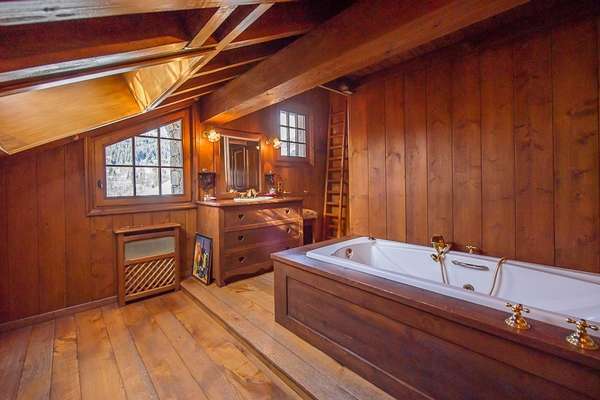 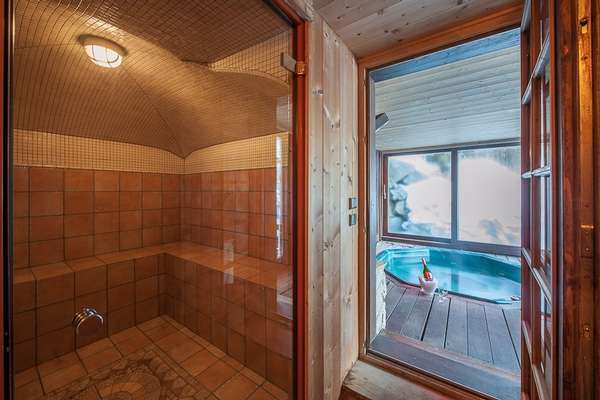 The cottage features a Jacuzzi and a hammam.